#DMF: Wait, Did Thato Reject Nomusa? Date My Family hit us with yet another entertaining episode with a twist. On Sunday night, viewers were introduced to Nomusa, a 20-something year old lady who is looking for a good time and a potential boyfriend. However, Nomusa added a bit of a twist to her Date My Family experience and opted to attend all three dates with her sisters. Nomusa is a triplet and has a very close relationship with both her sisters whom she shares a lot with, so having them attend the dates with her was a no-brainer but the three families she was about to meet were never ready for the triple surprise. When viewers learned that this weeks episode was about triplets, their memes went on overdrive. The first date went pretty well as Nomusa and her sisters found themselves quite intrigued by Thato's friends. 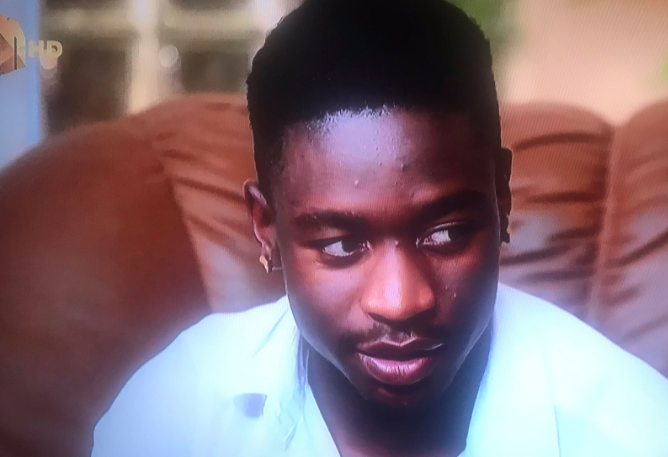 There was a point that Nomusa's sister, Busisiwe found herself getting attracted to one of Thato's friends and even wondered if he was single. This friend of Thato seemed to not only charm Busisiwe but many other viewers as well, we guess the main reason why a lot of viewers liked him was because of his awkward bedroom strokes question. Considering how much she enjoyed the first date, Nomusa eventually chose Thato to go out on a date with her. Unfortunately, she probably came to realise that choosing Thato wasn't the best of choices as the guy was in no way interested in her at all. When she inquired about a second date, Thato simply said that they should take things slow. Huh? Slow? Why? Then the social media world went crazy over his take it slow response. Also, why did he refer to Nomusa as Chief? To make matters worst, when asked which sister he preferred, Thato mentioned that he would've liked to go out on a date with Busisiwe. Ouch! Nomusa was never going to win and she probably should not have posed that question. But Nomusa shouldn't stress about being friend-zoned by Thato, she can still choose to go back to Thato's other three friends, they seemed more into her and her sisters than Thato was.